Rare bottle cap beer beverage bottle cap. You buy the certain cap(s) you see in the photo, or others of equivalent condition/quality. I think image is clear enough (usually 600 dpi jpg format). Soft and healthy,make a great housewarming or hostess gift for any beer lover. Keep your beer safely identified in clubs, bars and restaurants. Material: Silicone. Due to the difference between different monitors, the picture may not reflect the actual color of the item. We will help you to solve the problem. We are professional manufacturer jewelry manufacturers. We are wholesaler and exporter. 1 Brasil brewery CAP BOTTLE. 🍁 Boswell beer Cork Bottle Cap - ✔BUY ONLY THE BOTTLE CAP YOU NEED!! No dents, crap, or gunk. I will not water down- even mix. You buy the certain cap(s) you see in the photo, or others of equivalent condition/quality. I think image is clear enough (usually 600 dpi jpg format). EGYPT-2 (OLD) PAKISTAN. SOLD AS IS - LOOK AT THE PHOTO FOR CONDITION DETAILS. Watch carefully what you buy, you will get what you see on the photo. One should receive at least 50 or more different styles. Only a few sets available. They will be bagged. Minor scratches unavoidable. Alabama Bottle Cap. Alaska Bottle Cap. Arizona Bottle Cap. Arkansas Bottle Cap. California Bottle Cap. THEY BEEN WASHED, CLEAN, NO GUNK. NO DENTS, NO CREASES, NO RUST. THERE WILL BE MANY DUPLICATES, AGAIN, JUST A RANDOM MIX. 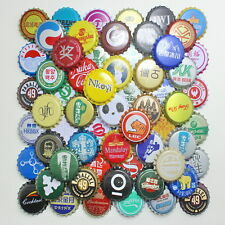 Item: 1 crown bottle cap of Japanese beer " MINOH BEER". Brewery: Minoh Brewery. Country/Region: Japan/Osaka prefecture, Minoh city. Not a liquid beer either a bottle. KIRIN SAPPORO BEER. 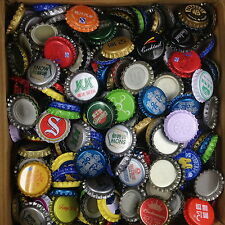 CROWN BOTTLE CAP Japan. You buy the certain cap(s) you see in the photo, or others of equivalent condition/quality. about 2-4 weeks. Watch carefully what you buy, you will get what you see on the photo.